Anesthetics are potent sleep inducers, but they're also potent greenhouse gases. 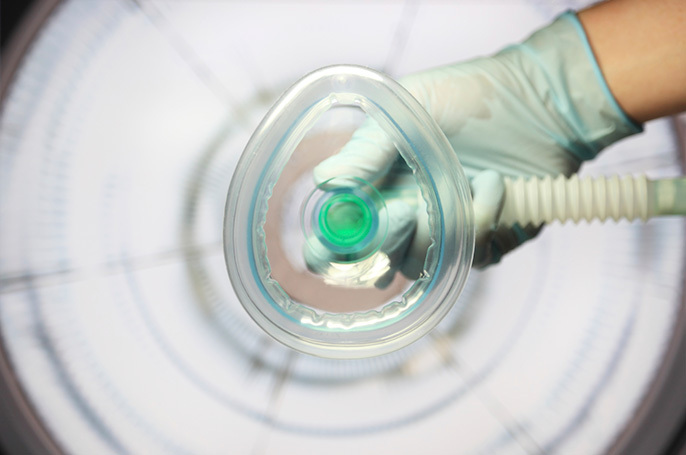 What happens to anesthetics after a patient inhales them? UCSF anesthesiology resident Nicole Jackman wants doctors to think carefully about that question, because not only are inhaled anesthetics potent sleep inducers, they’re also extremely potent greenhouse gases. Jackman is one of some three dozen students across the UC system to be awarded a Carbon Neutrality Initiative Student Fellowship for the 2015-16 academic year. Part of UC’s push to become carbon-neutral by 2025, the UC President’s Carbon Neutrality Initiative Student Fellowship Program funds undergraduate and graduate student projects that help get the UC system closer to this goal. The student projects are as bold as they are broad, ranging from research into next-generation clean energy technologies to large-scale efforts like the Cool Campus Challenge that get students directly involved with the university’s carbon neutrality goals. Some projects might come as a bit of a surprise, like Jackman’s focus on hospitals. As an anesthesiologist, Jackman is zeroing in on what can be done to improve hospital anesthesia practices. The most commonly used inhaled anesthetics, including nitrous oxide and fluorinated ethers like desflurane, have global warming potentials that range from 300 to 1,500 times that of carbon dioxide. Once exhaled by patients, these gases go straight through a hospital’s ventilation system to the outside air. Moderating the use of anesthetics without affecting patients can limit the effects on climate change and can save hospitals significant amounts of money, around $1 million per anesthesiologist over one's career, Jackman estimates. In the future, recapture and reuse of gaseous anesthetics is a definite possibility. The 10 UC campuses, Lawrence Berkeley National Laboratory, the Division of Agriculture and Natural Resources and the UC Office of the President each received $12,000 to divide among the selected student projects. The next call for Carbon Neutrality Student Fellows will occur in spring of 2016. Voices of the future panel at the UC Climate Summit at UC San Diego. UC Regent Bonnie Reiss (left) with CNI Fellows Adriana Gomez, Ellen Esch, Nicole Jackman and Cody Lee.